The right skills for professional-level cloud computing involve both a technical and business perspective. Organizations today use a mix of cloud and hosted solutions that the IT professional and the business must navigate. 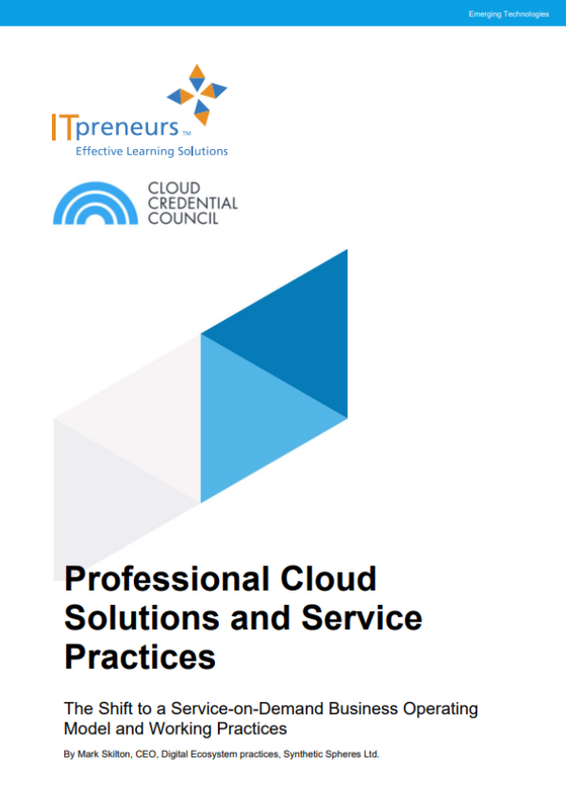 Professional-level cloud certifications bridge the gap between technical cloud certification and practical business outcomes. Cloud computing operates as a service lifecycle—from searching and selection of a cloud solution or service—to consuming, running and maintaining that service. IT has been radically changed by the phenomena of cloud (Figure 1) impacting both the technology and enterprise domains: user experience, operations, buying and procurement of business. Cloud has also changed the required skills for technology professionals across a spectrum of roles ranging from architect, developer, administrator and service management to different roles engaged in business. To maximize the potential of cloud today, IT professionals need the right level of skills in business and technology. These include foundation knowledge and skills to professional practitioner techniques that can best meet the needs of the enterprise and the individual.